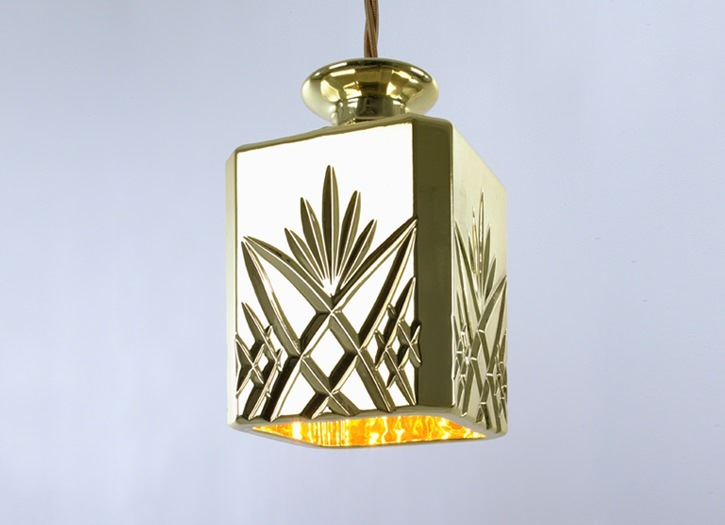 We are totally vibing on this pendant light. Reminiscent of the crystal decanter sets that you see the wealthy pouring some brown liquor from in the movies. We ourselves have yet to go into someone's home and be offered a fine scotch or whiskey from one of these vessels...but we digress. We have some friends that are looking to update the pendants dangling above their kitchen island, and we think that this might be the winner. You know who you are. You can see more of the fabulous designs of Lee Broom here.